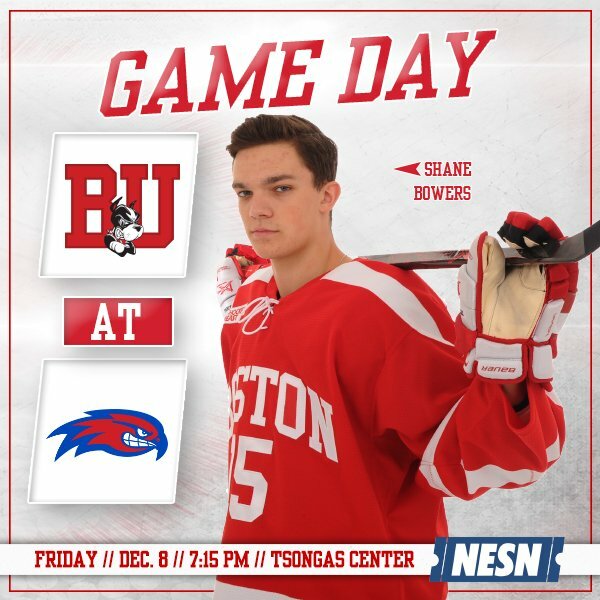 Tonight, BU begins its final weekend of the first semester, a home-and-home series with UMass Lowell. Puck drop at Tsongas Arena is at 7:15 p.m. for the contest that will air on NESN. The Red Hawks, who won last season’s Hockey East tournament and who trail BU by a point for fourth place in the Hockey East standings, have, like the Terriers, struggled this season. They bring an 8-7-0 record (5-5-0 in HE) but have won four of their past five starts. Lowell’s attack is led by sophomore Ryan Lohin with 14 points, sophomore Kenny Hausinger with 12 and senior defenseman Tyler Mueller with 10. Junior Christoffer Hernberg has supplanted Tyler Woll as the lead netminder and currently leads all Hockey East netminders with a 1.64 GAA and a .939 save percentage. For BU, Patrick Harper, with 19 points is second in Hockey East in scoring and first in assists with 13. Bobo Carpenter has 16 points, while Chad Krys is the top-scoring blueliner with 14. Freshman Shane Bowers, with six points in his past four games, has 13. 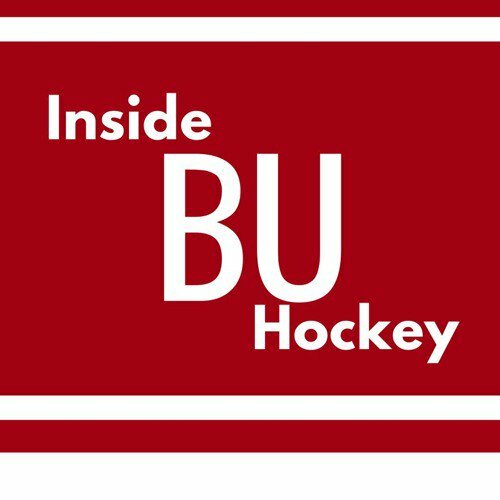 This week’s episode of Inside BU Hockey features Bernie Corbett’s interviews with Head Coach David Quinn, sophomore forward Patrick Harper, and Tim Rappleye, author of JackParker’s Wiseguys, a chronicle of the Terrier’s 1977-78 national championship season. Harper earned Hockey East Player of the Week honors for his four assists in BU’s 7-4 win against BC last Friday. Earlier this week, the New Canaan, Connecticut native was named to the training camp roster (along with Jake Oettinger and Brady Tkachuk) for the U.S. Junior National Team, which will compete in the IIHF World Junior Championships beginning Dec. 26. Harper was a member of the gold-medal U.S. squad last winter. 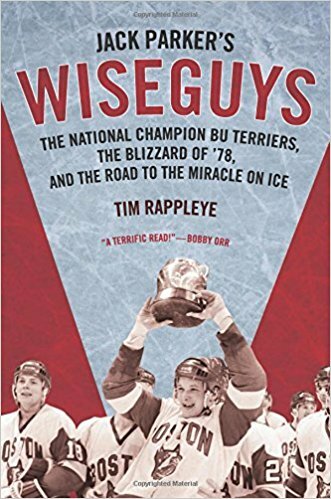 More than 200 copies of Jack Parker's Wiseguys were sold last Saturday night at Agganis Arena during the BU-BC game as the 1977-78 team held its reunion. Those sales raised more tha $1,000 for The Travis Roy Foundation. 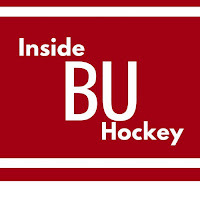 ►This week’s Hockey on Campus podcast features: St. Cloud Coach Bob Motzko, who will again lead Team USA in the World Junior Championships; Notre Dame goalie Caleb Morris and Tim Rappleye. Hockey on Campus airs on NHL Radio (SiriusXMChannel 91) on Saturday morning at 8 a.m. ET and Sunday morning at 10 a.m. ET. 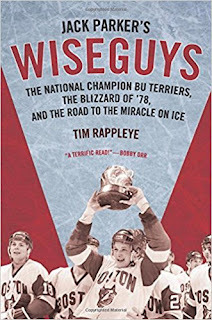 You can also find it here on College Hockey News. McKeen’s December rankings for the 2018 NHL Entry Draft have Tkachuk at #6 and 2018 recruit Joel Farabee at #12. 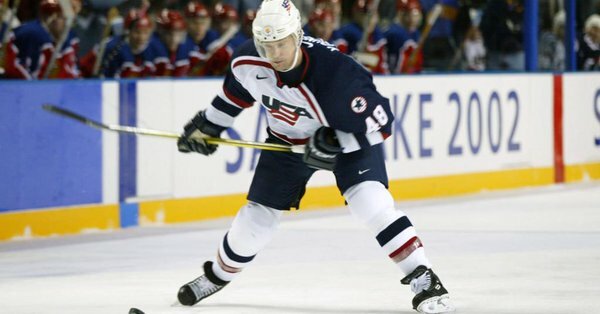 Former Terrier standout and assistant coach, two-time Stanley Cup champ and U.S. Olympian Scott Young talked with NHL.com about his start in hockey in Clinton, Massachusetts and his long career path. Now director of player development for the Pittsburgh Penguins, working for his former BU teammate, Mike Sullivan, Young will return to the Olympics in February as an assistant coach for Team USA. Next Wednesday, he’ll be inducted into the U.S. Hockey Hall of Fame, along with Coach Jack Parker and Ben Smith, who served as Parker’s assistant and in several head coaching spots. Senior Victoria Bach scored a natural hat trick, en route to her second four-goal game of the season as BU defeated Yale, 5-2, in New Haven. Bach has scored 16 goals and added seven assists in her past nine games. She is the only player in the nation with three hat tricks and now leads the nation with 21 goals. Her 37 points are tops for BU. Last month's national player of the month, Bach staked BU to a 2-0 lead in the first period against the Elis, then added an unassisted score midway through the second. 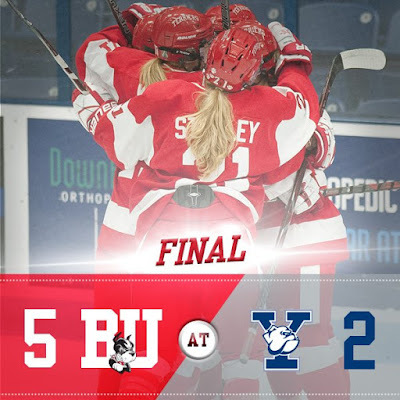 Yale cut the margin to 3-2 in the third period before Abbey Stanley’s goal and Bach’s fourth put the game out of reach. Senior captain Rebecca Leslie added a pair of assists and has 33 points. Corrine Schroeder stopped 30 shots to gain her seventh win of the season.